This presentation is a tour of installing and configuring SAMBA for OS/2. Examples will show eComStation sharing files with Windows, Macs, smartphones and tablets. 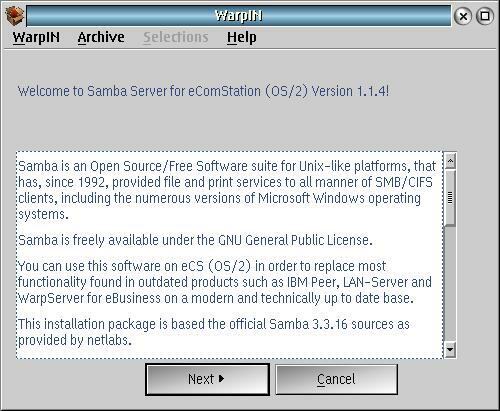 Samba for OS/2 and eComStation comes in two varieties, the client and the server. The client allows users access to a shared drive on another computer. 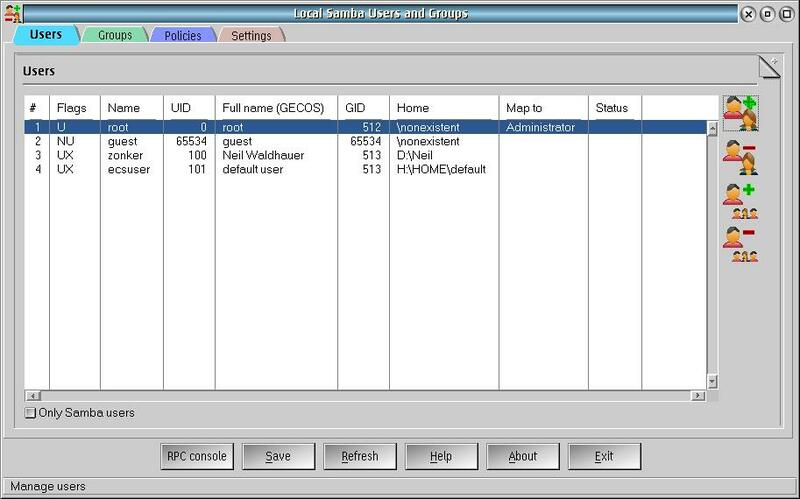 The client is installed on eComStation by default. 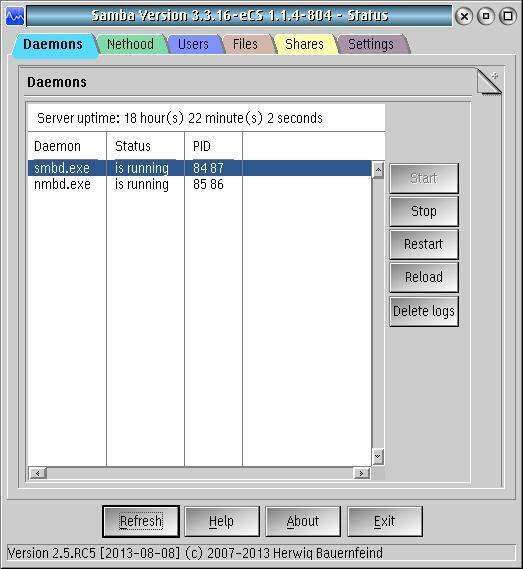 Samba server allows users to share files with users on other computers on the local network. This presentation will concentrate on using Samba server. Samba for OS/2 and eComStation is intended to replace the IBM File and Print Services that came with OS/2. Samba is currently maintained by BitWise, Alex Taylor and Paul Smedley. The fine points of Samba configuration are tedious to learn. The O'Reilly press book may be helpful. The full text of the book is available on-line. The software can be downloaded from the Samba for eCS (OS/2) website. Set the environment variable TMPDIR to a temporary directory. 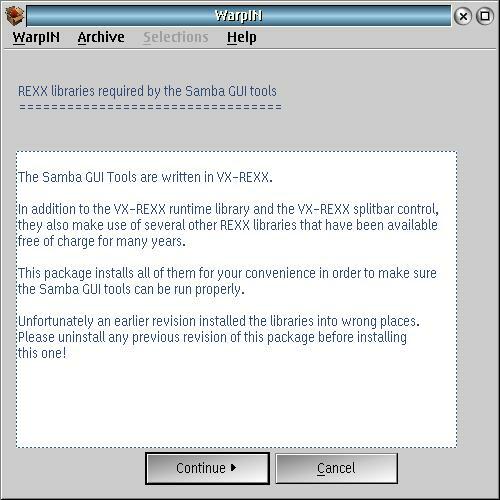 Install the REXX Libraries first, then the Samba Server. 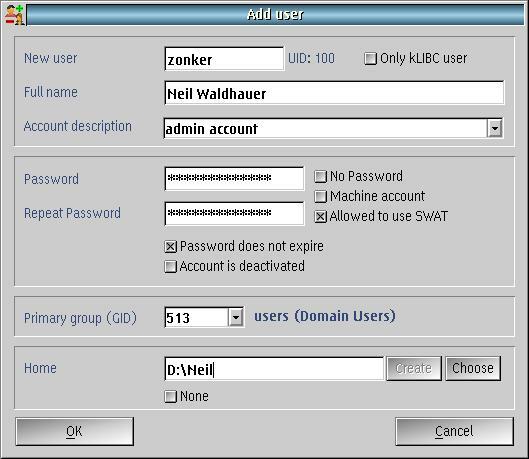 At the end of the Samba Server installation, you will see a configuration screen in which you will set the administrator password. 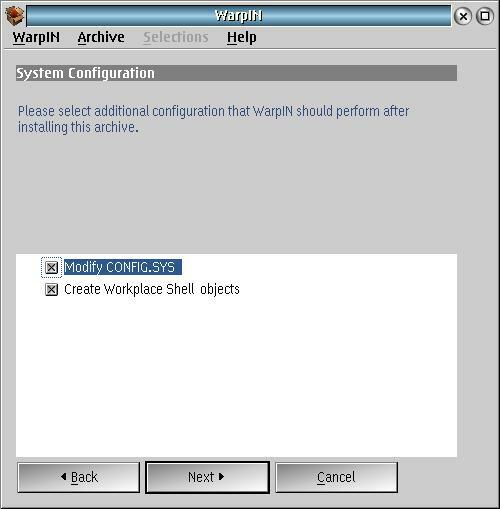 If this configuration screen does not appear, or if you do not set an administrator password, then the installation has failed. 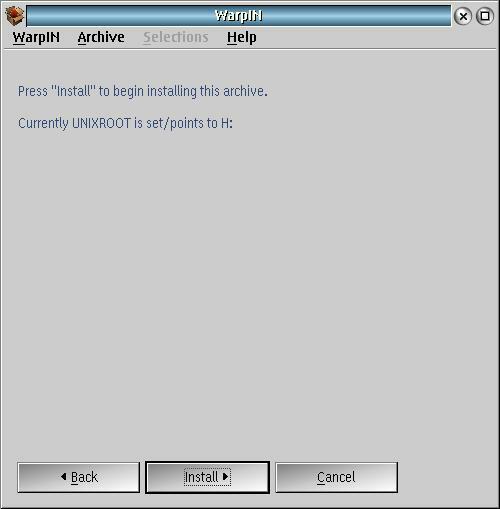 Sometimes a second attempt to install will be successful. 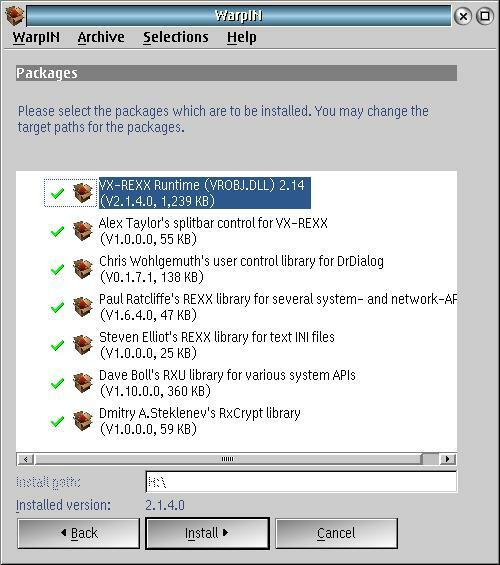 Other times, re-installing the prerequisite REXX libraries can help. I prefer to set up Samba to start from the Workplace Shell Startup Folder. The script I use is shown below. I create an object of the script, with the Samba installation directory as the working directory, and place it in the Startup Folder. say "wait 10 seconds before starting Samba"
Restart the machine to let everything take effect, and Samba server is ready to configure. 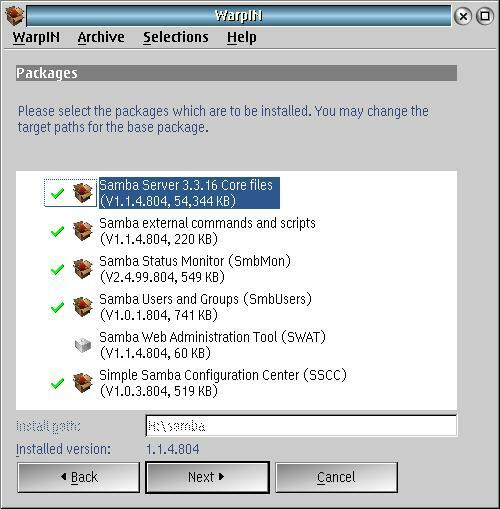 Samba client software is installed by eCS 2.1 and newer. Since then, newer versions of the client have been released. 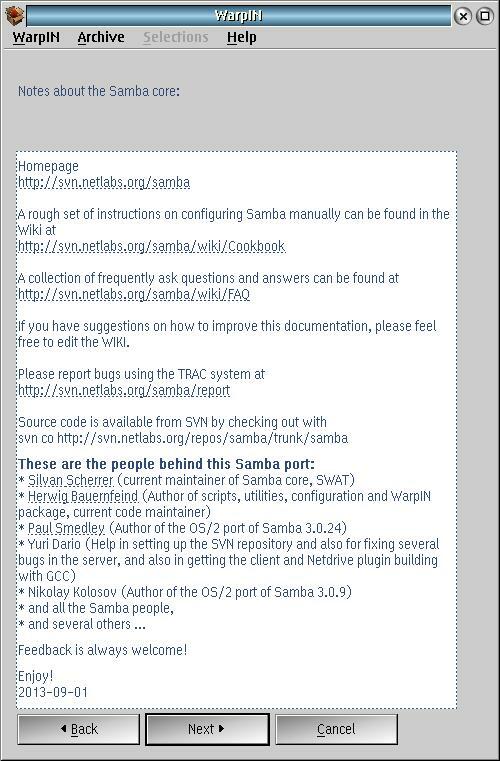 Samba client software can be found on the same website as the server files. For OS/2, NetDrive is required. For eCS, the EVFS program supplied with the operating system will work. I've changed my client version from 2.1.5 to the 2.2.0 beta. This change is intended to make it possible to use Win 7 resources. 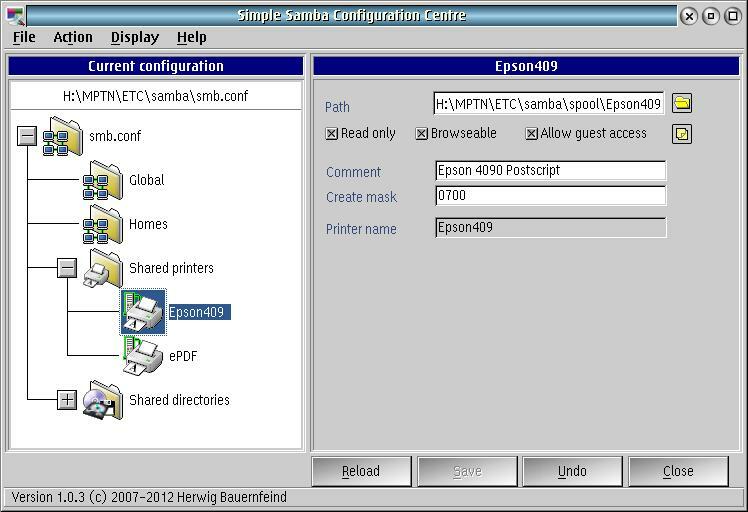 The Simple Samba Configuration Centre controls Samba shares by editing the smb.conf file. 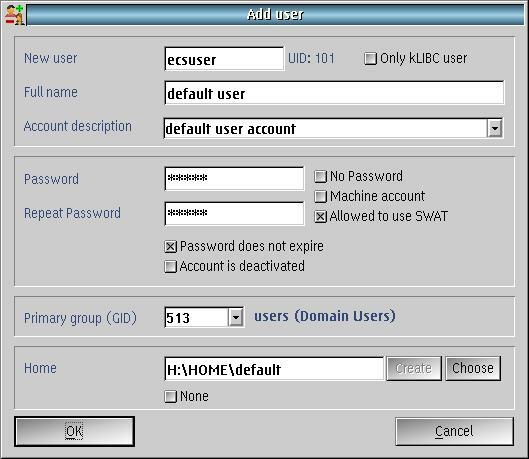 The Samba Users and Groups controls Samba security by editing the password files. 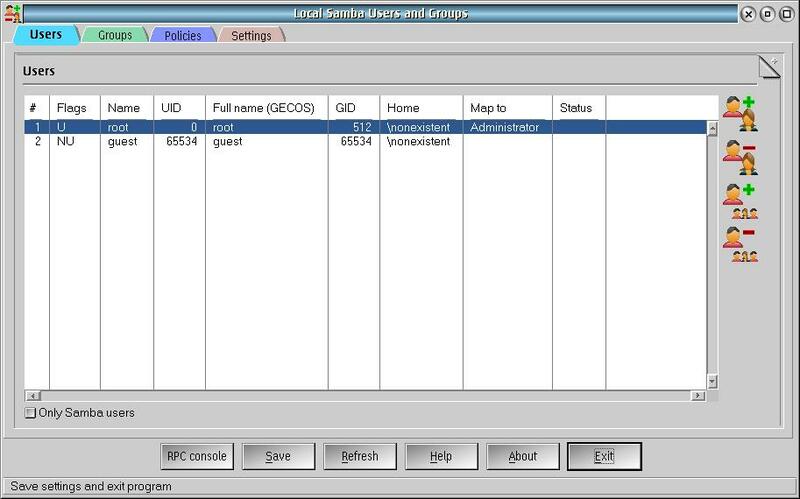 The Samba Status Monitor displays Samba status in several categories. After making configuration changes, Reload Configuration invokes a script to notify the running Samba server to use the new configuration. Uses the command line tool smb to stop then start the Samba Server. Uses the command line tool smb to start the Samba Server. Uses the command line tool smb to stop the Samba Server. Directly edit the Samba configuration file smb.conf, which is in plain text. 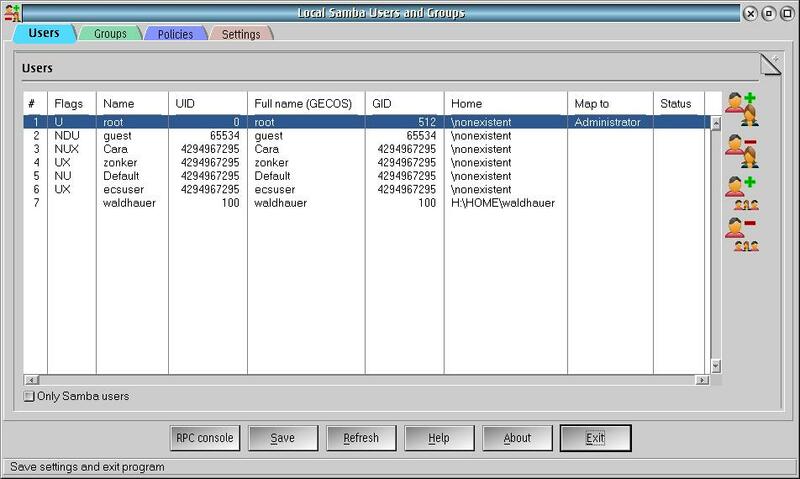 Uses the command line tool FINDSMB to find other machines that are visible on the local network. Here are the resources for Samba networking on eCS and OS/2 that I have found on the web. OS/2 Release Notes has a nicely done article. On the client side, it's been frustrating to attach a network resource at system startup. 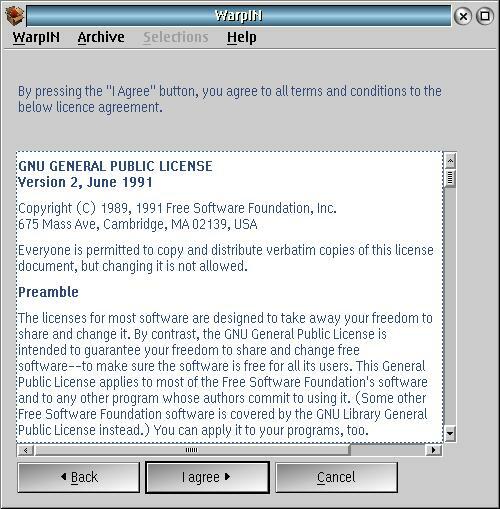 (C) Copyright Blueprint Software Works, 2000-2006.
where x is the drive letter to be created. where path is the mount point to be created. where path is the mount point to be deleted. where x is the drive letter to be deleted. exists in the mount point. index       index of the resource to be unmounted (0 - all resources). default values are wait_time=10 (in seconds), retries=3. I can mount a remote resource from command line. For the resource description, type out the evp file for the resource. The procedure is below. 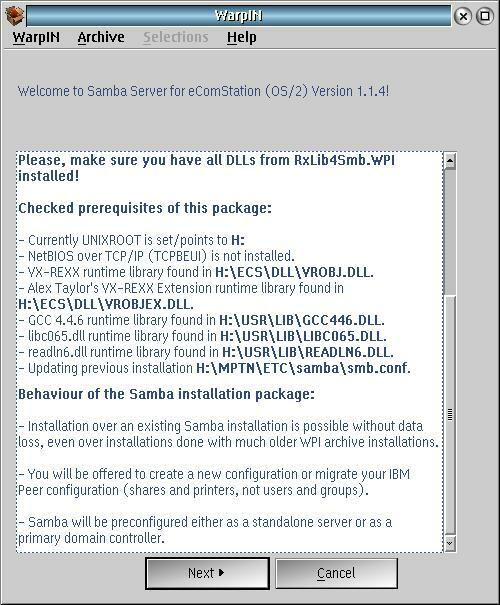 When Samba server starts, it reads configuration files that define what network resources are to be shared and which users and groups have access to those network resources. The configuration file, samba\smb.conf, is located in the %ETC% directory. The following configuration file is the smb.conf from a working network. add user script = H:\samba\usermod.cmd -a "%u"
rename user script = H:\samba\usermod.cmd -r "%uold" "%unew"
delete user script = H:\samba\usermod.cmd -x "%u"
add group script = H:\samba\groupmod.cmd -a "%g"
delete group script = H:\samba\groupmod.cmd -x "%g"
add user to group script = H:\samba\groupmod.cmd -j "%g" "%u"
delete user from group script = H:\samba\groupmod.cmd -l "%g" "%u"
set primary group script = H:\samba\usermod.cmd -p "%u" "%g"
add machine script = H:\samba\usermod.cmd -a "%u"
print command = H:\samba\smbprint.exe "%s" "%p" "%J" "%c" "%z"
It's October 2015, and I've been using Samba successfully in my Local Network. I can interoperate between iOS, Linux, Mac OS, OS/2, eComStation and Windows. I have not yet tested with Android, but it is likely to work.